I'm Commander Shepard and when I fly the Normandy SR1 I have way less restrictions/regulations(and all around bullcrap) than I do when I try to buy RC planes from a hobby shop, and have the owner tell me a plane is $400, and only if I crash it I could buy replacement parts ONLY for that plane. My original purpose was to go there and buy some motors, servos, and pretty much everything I needed to make my scratch build flyable, and the guy said I didn't know what I was talking about and he said he was doing me a favor by selling me a $400 plane that I didn't like. I told him why don't you sell me a bixler 2 plane. The man told me we only sell high quality planes, and no crap from hobbyking. 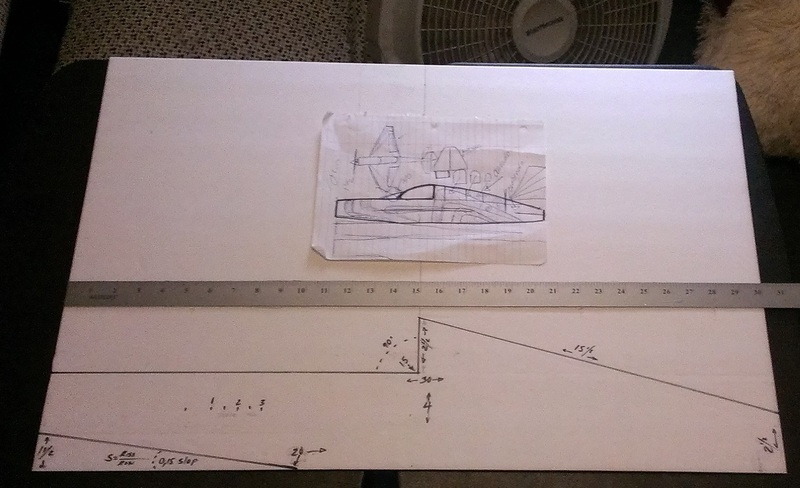 So I going to prove that guy wrong and start building my own RC scratch plane. I will be posting my progress on here on and the reason why its 2.0 is because I already have a completed plane made. I know it sounds a little off but when the plane is complete we pretty see if it flies but I need a little help from you guys with the electronics. I have a spektrum dxe5, a bunch of foam boards and a lot of time. What hobby shop is this? Where is it located? As to the electronics, 9 gram servos will do the trick. Do you have an estimated weight of the plane? What do you want the plane to do? Fly fast, or slow with tricks like a 3D plane? That will help determine what electronics you'll need.